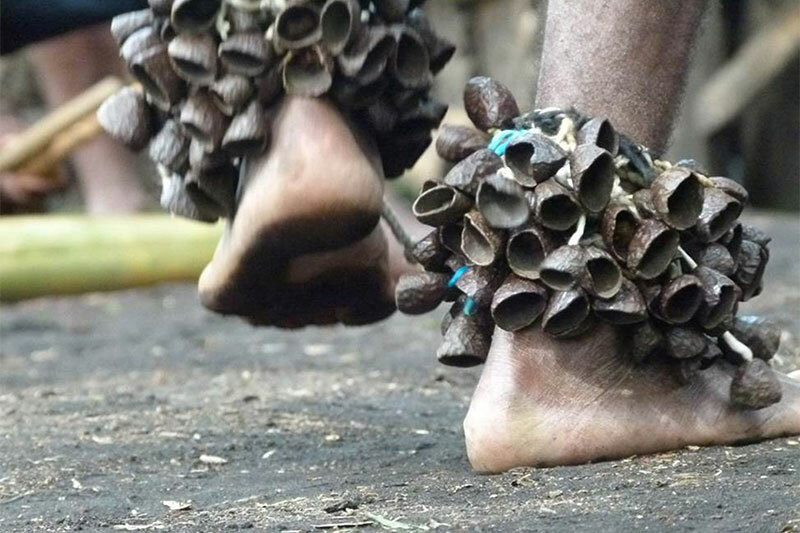 Yumi Danis (We Dance) is co-curated with Ni-Vanuatu songwriter, musician and author Marcel Meltherorong (Mars Melto), and brings together dancers and musicians from Papua, Papua New Guinea, Fiji, the Solomon Islands, Vanuatu and New Caledonia. It is staged as an immersive multimedia installation, animated by contemporary dance and consciously addresses the issues involved in translating and contextualising performance from these regions for a broader audience. The installation They look at you 2015 is by Kanak artist Nicolas Molé in response to discussions with Meltherorong and 15 dancers from across the region who attended a workshop in Vanuatu in 2014. Visitors enter through the tangled roots of a banyan tree, into a cleared open space found in many of the region's villages. 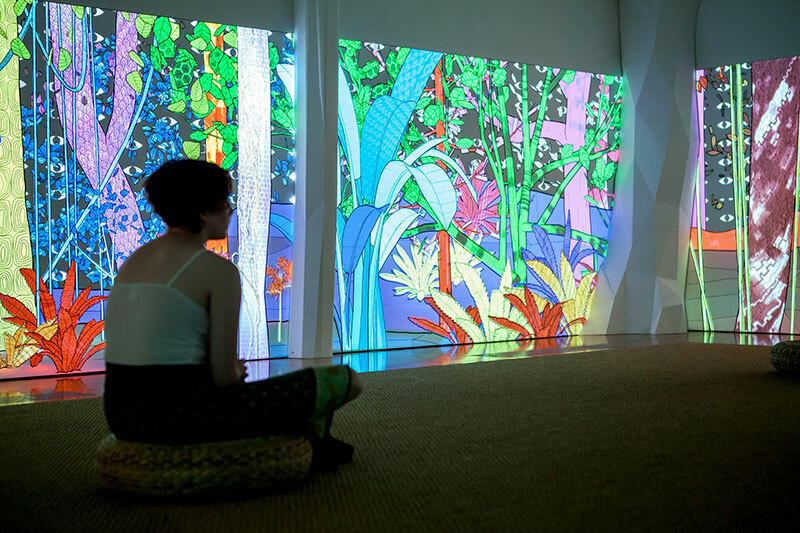 The surrounds are animated with Mole's immersive animated video projections of a forest inhabited by various beings. 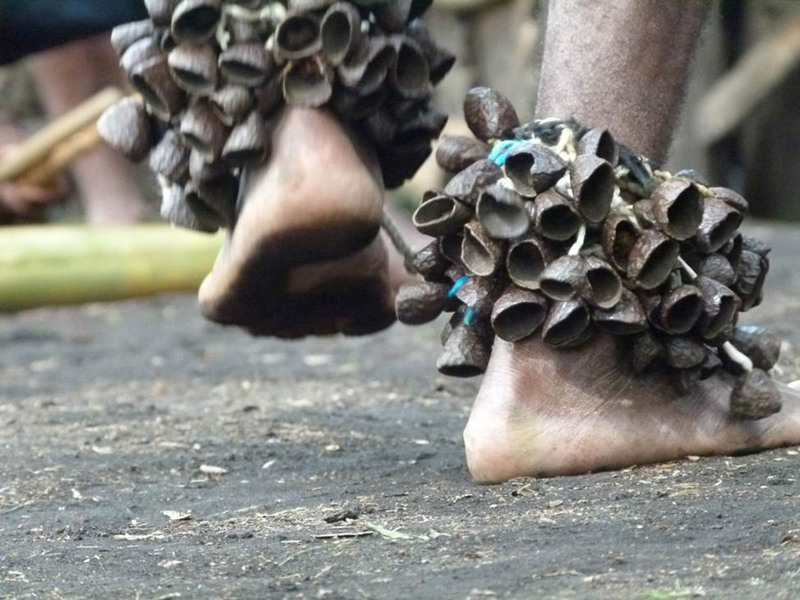 A large dwelling holds 11 videos, presenting the diversity of performance found throughout Melanesia. Participants include: Sam Roem (West Papua l Australia); Julia Mage'au Gray (Papua New Guinea l Australia); Lucy Efi (Papua New Guinea); Michael Maetarau (Solomon Islands); Marcel Meltherorong, Anderson Laurin, Tio Massing, Steve Williams, Andrew Tamata and Manuella Kelep (Vanuatu); Nicolas Mole, Richard Digoue and Simane Wenethem (New Caledonia); Katalina Fotofili and Soronakadavu Ratulevu Tora (Fiji). 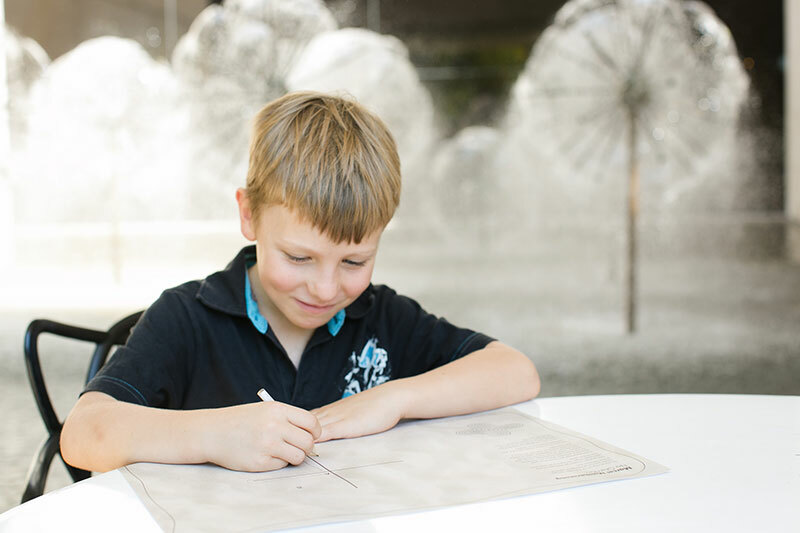 Marcel Meltherorong introduces children to the art of sand drawing, an important way of sharing information and stories in some parts of Vanuatu in Kids APT8. Yumi Danis (We Dance) is staged as an immersive multimedia installation animated with Nicolas Mole's immersive animated video projections of a forest inhabited by various beings..
Ruth McDougall, Curator, Pacific Art, discusses the Yumi Danis (We Dance) project in APT8. 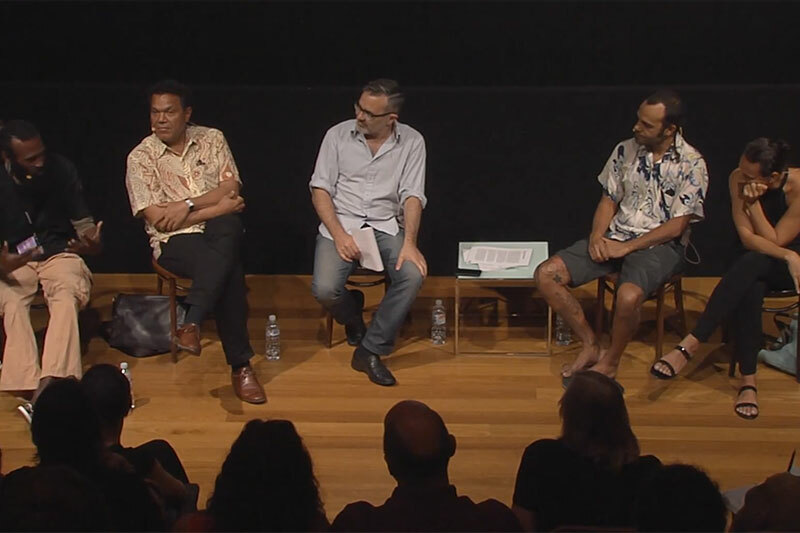 Join Emmanuel Kasarhérou, Marcel Meltherorong, Nicolas Molé and Julia Mage'au Gray as they consider the Yumi Danis (We Dance) project and its use of video, dance and choreography as a medium for engaging audiences with Pacific culture..